Is Grain-Free Cat Food Good For Cats? | Purrrfectly Holistic Purrrfectly Holistic…a Boutique for Cats! Is Grain-Free Cat Food Good For Cats? 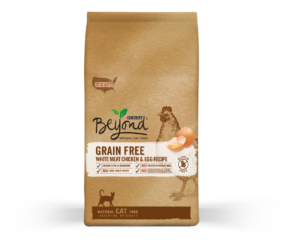 By now most cat parents are probably savvy and smart enough to know that grain-free foods are a better choice than food containing grains. Apparently manufacturers have realized that cat parents don’t want grains in their cats’ kibble as the market niche has climbed to 47% of the dry cat food out there. Despite it’s popularity, is grain-free cat food truly good for cats? I read an article this past week that was right on the money, and it revealed that cat parents are being deceived. Most people don’t turn the bag around and look at the label’s ingredients, but they really should. Words and pictures sell bags of cat food, and marketing catch-phrases like grain-free, non-GMO, organic, and holistic are meant to build trust and consumer confidence in a product. Granted, most consumers don’t have a degree in nutrition and many cat parents out there don’t realize that just because “grains” are not included doesn’t mean it’s carbohydrate-free. To make a kibble product requires a starchy product that can hold all the ingredients together like a glue when processed. Grains are not the only ingredients that are starches! Have you notice the new trend? Now marketers are hailing the praises for foods that have become popular in human diets like sweet potatoes, quinoa, lentils, legumes, tapioca, potatoes, dried pea products, and chickpeas, and these items are replacing the grains in cat food. Guess what? All these foods are carbohydrates–starches–and are broken down as SUGAR when your cat eats them. This has the same sad set of consequences as eating grains. 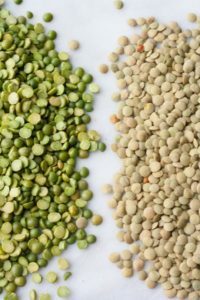 Peas, lentils, and other legumes are problematic for cats, according to Dr. Karen Becker, DVM, because they naturally contain phytates and lectins. Phytates are substances that carnivores can’t break down because they lack phytase, the enzyme necessary to process phytic acid. Phytates bind minerals (including zinc, iron, calcium and magnesium), leeching them out of your pet’s body. Lectins are sticky proteins that when consumed in large quantities may contribute to GI disturbances and leaky gut. Pet food manufacturers like to use dried peas because they aren’t grains (which presents a marketing opportunity), they’re gluten-free (another marketing opportunity) and they’re about 25 percent protein, which means they help bump up the stated protein level of the formula. It’s also important to remember that animal protein sources are far superior for a cat’s diet than any plant source, and ironically, most of the protein percentage in processed cat food is sourced from plants. It’s been a steady trend over the past few decades that diseases like obesity, diabetes, and cancer is on the rise in cats. When you look closely at the diet most cats are fed and see the amount of carbohydrates that are in dry cat food it makes sense. These dry food formulas are “loaded with carbs which can lead to blood sugar fluctuations, insulin resistance, obesity, diabetes and other health problems in your pet,” Becker goes on to say. Conventional kibble food can contain 40-50% carbohydrate! 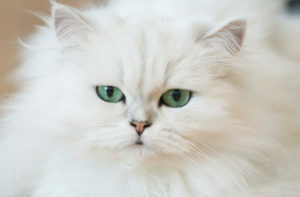 This means that almost half of your cat’s diet is comprised of simple sugar. 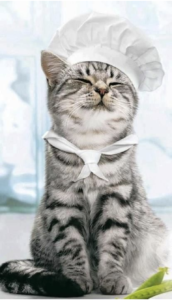 Sadly, regulations don’t require labels to include the amount of carbs on pet food, so cat parents would never know. This amount of sugar intake has led to the body storing the excess calories as fat, and vets have seen an epidemic level of sugar-related metabolic diseases, including cancer, and other chronic illnesses. Chicken, chicken meal, pea protein, pea starch, cassava root flour, dried egg product, beef fat preserved with mixed-tocopherols, dried yeast, canola meal, pea fiber, natural flavor, dried carrots, Phosphoric acid, potassium chloride, sodium bisulfate, salt, L-Lysine monohydrochloride, taurine, calcium carbonate, choline chloride, Vitamin E supplement, zinc sulfate, ferrous sulfate, manganese sulfate, niacin, Vitamin A supplement, copper sulfate, calcium pantothenate, pyridoxine hydrochloride, Vitamin B-12 supplement, thiamine mononitrate, riboflavin supplement, Vitamin D-3 supplement, calcium iodate, menadione sodium bisulfite complex (source of Vitamin K activity), folic acid, biotin, sodium selenite. Ingredients are listed in order by the amount found in the product–highest to lowest. Did you know that the third, fourth and fifth are carbohydrates? And this brand is using pea protein to increase it’s percentage of protein. Sadly, this grain-free food ends up having almost 1/3 of its content as sugar! The healthiest option by far is to ditch the kibble and opt instead for a fresh, homemade raw or lightly cooked food which can take some research, time, and commitment. You can also find great brands of premium raw or human grade canned food in natural pet food stores. Even if your budget will only allow you to offer several high quality meals per week it’s better than none at all. 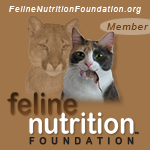 To learn more about providing the very best in nutrition for your cat check out the Optimal Nutrition For Cats page. Please share this with your favorite cat people, and join our community of cat lovers here.